APS is committed to providing consistent, highly reliable thermal printing solutions for all market segments. APS also prides itself on its' ability to focus resources on our individual customers' immediate and long-term printing needs. This means that, APS' technical innovation matches the ease of integration of our thermal printing solutions and our ability to be a flexible commercial supplier. 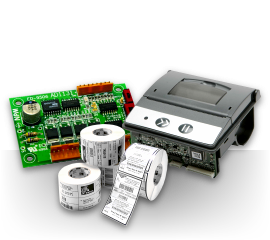 APS thermal printing solutions are chosen for their efficiency, precision and reliability. Should you be producing cash registers for bars or shops, coupon printing equipment or weighing scales – you always need to install a thermal printing mechanism in it. This is where APS is able to offer its wide range of products from the smallest SS to the robust LPM for label printing. EFT POS terminals have become such a common everyday life phenomenon that no comments are necessary. APS offers SS, FM, ELM, EPM series products for any of the terminal you might have. In the market of gaming and lottery high precision is a must. This can be guaranteed by our most robust models of HSP series. This application summarizes any device which meets any general accounting and state reporting requirement. That is, cash registers, calculators or any other devices applied for commercial activities where business requires monitored. Firstly APS offered DS (double station) mechanisms with cutter and rewinder, later MRS (integrated controller board) mechanisms for electronic memory recording. 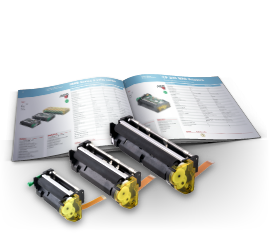 Today its counterpart with better performance is making its way to the market – the printers with the HRS board integrated. Creating something that has to deal with dangerous substances is always a challenge. But this is not a barrier that would make us stop. All our HSP or KAPS printers are able to deal with highest security standards as well as harsh weather conditions that gas stations usually face and guarantee highest speed and reliability for providing the gas/petrol vending services. Innovative technology, reliability and being experts in small printing mechanisms production made APS a partner to the most significant automotive manufacturers in the world. Should you produce tachographs, taximeters or bus/train ticket printing equipments – APS will always have what to offer from SS, FM or Kiosk printer series. 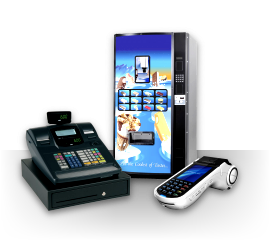 APS thermal printers of KM, KP or KAPS series are able to serve supervised, semi-supervised or unsupervised kiosks and vending. Should it be automatic ticketing for parking, check-in, ski-passes, theatres, ATM’s, public transport or event tickets, information kiosks, internet kiosks, automatic distributors and control access – we can print it all. All the medical monitoring and diagnostic equipment that needs to have a printout of the results can use any of APS printers depending of the equipment size and particular needs (i.e. blood analyzers, ECGs, spirometers, defibrillators, ophthalmic devices, hemoglobin analyzers, audiometers, sterilizers, autoclaves). When it comes to deal with governor sector – there is no doubt that the standards are at the highest level. APS has already pursued necessary experience in producing printers, that can be used for voting and has already proved its ability to develop a specialised and uniquely adapted products for any country. There is one common thing in all the nations of 21st century: we all want to have faster, better, personalized and cheaper services. Welcome to the self service vending machines century. Should you develop a vending machine for snacks and drinks, photo shooting cabins, self service laundry payment kiosks or cigarette kiosks – KM, KP, KAPS or HRP are the printers that you would choose. Should you identify your staff schedule, goods flow or printout the testing results, we can help. Our small-medium printers are there to provide the print part.